Is maintaining freshness crucial for your product? When it comes to food, beverage, and even electronic items, choosing to package your product in a zipper pouch can help decrease spoilage and damage. 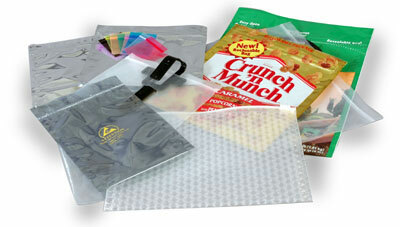 The zippered pouch and bag from Maco PKG is part of a flexible packaging solution for all industrial packaging needs. Its unique feature of a zipper cab that helps open and close the bag can be used for many different materials and flexible packaging styles. This zipper technology keeps your products fresh for a longer time. Since it can be easily opened and closed without tearing or damaging the whole package, it can be recycled and used again, minimizing the waste. We produce these zipper pouches in many different sizes so that they can be used for many different items. Our manufacturing unit in Newark uses state-of-the-art technology to create zipper pouches that will maximize bag suction and guarantee a positive seal. That’s why food items stored in our zipper pouches are sure to remain fresh and uncontaminated throughout the transportation and selling process. We also create customized zipper bags upon request to provide complete packaging services for your business. All of our zipper bags are manufactured with durable FDA-approved film and it can be used for both food and non-food packaging. With all of these options, Maco PKG is your best choice for manufacturing your product’s zipper pouch packaging. Contact us today to learn more on how zipper pouches might the most advantageous choice for your product!